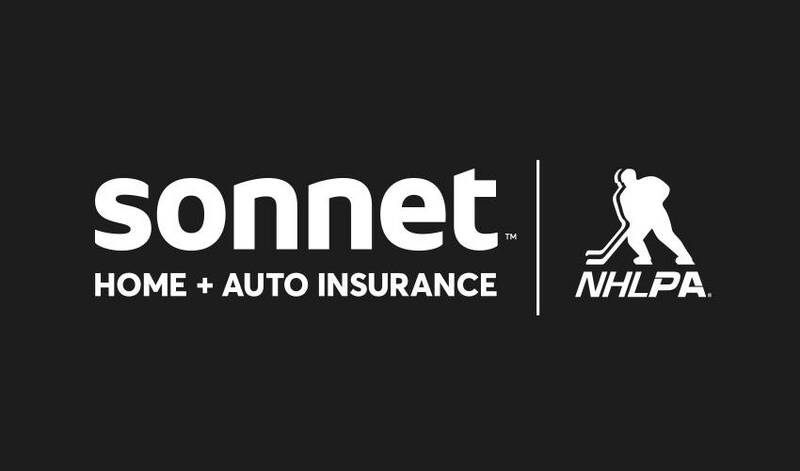 TORONTO (October 3, 2018) – Sonnet, Canada’s first fully online home and auto insurance, has partnered with the National Hockey League Players’ Association (NHLPA) to feature members of the NHLPA in a campaign that highlights the evolution of the game and its all-stars. The entertaining campaign pairs young players with alumni to show how the sport and the athletes have changed over the years, from warm-up moves to tape reviews. Just as Sonnet has evolved the insurance experience for Canadians, this integration with key players will show fans how their favourite game has evolved through entertaining commercials, social media content, and more. The first installment of the campaign is a series of TV commercials that feature NHLPA members Jonathan Drouin, Johnny Gaudreau and William Nylander in a way fans of the game haven’t seen them before – taking on the legends of the game. The first of the commercials will launch on October 3, and each of the 30-second commercials will be showcased on TV and social media, rolling out throughout the course of the 2018-19 season. The partnership continues Sonnet’s focus on connecting fans with their favourite players following the development of digital content and experiential opportunities in the 2017-18 season. Launched in 2016, Sonnet Insurance Company (Sonnet) is a federally regulated insurance company, and the only insurer in Canada to currently nationally sell home and auto insurance completely online. Our mission is to provide Canadians with an easy, transparent, and customized way to buy insurance. Experience the future of insurance at Sonnet.ca, and say hello on Twitter, Instagram, Facebook, and LinkedIn.